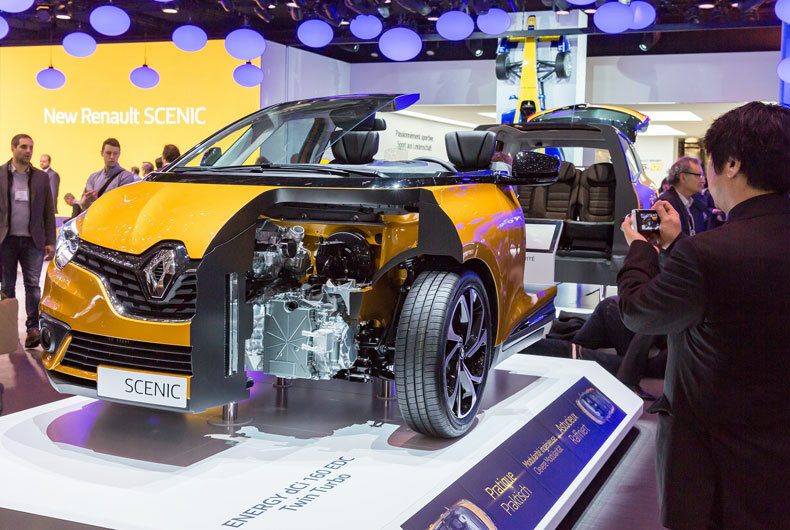 New Scénic is the great revelation at the Renault stand at the Geneva Motor Show. 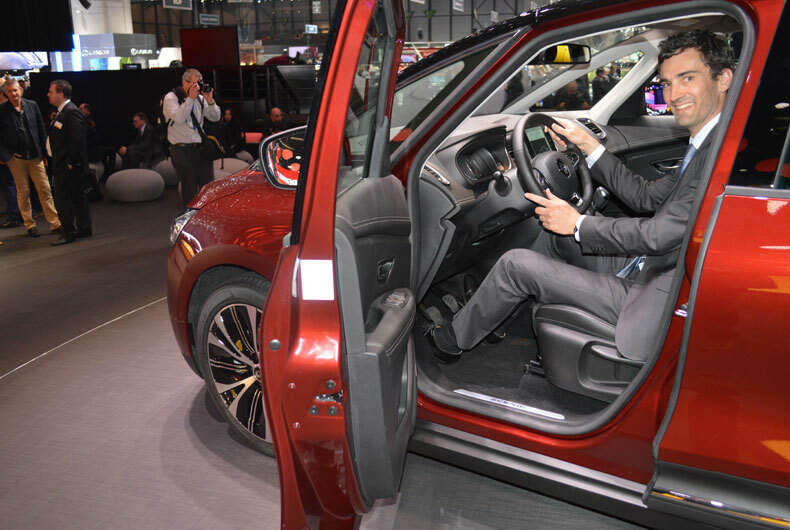 The new model that Carlos Ghosn unveiled to journalists from the world over will doubtless be marking a further revolution in the rather idiosyncratic MPV segment. Renault has sold more than five million Scénics since the first generation appeared in 1996. 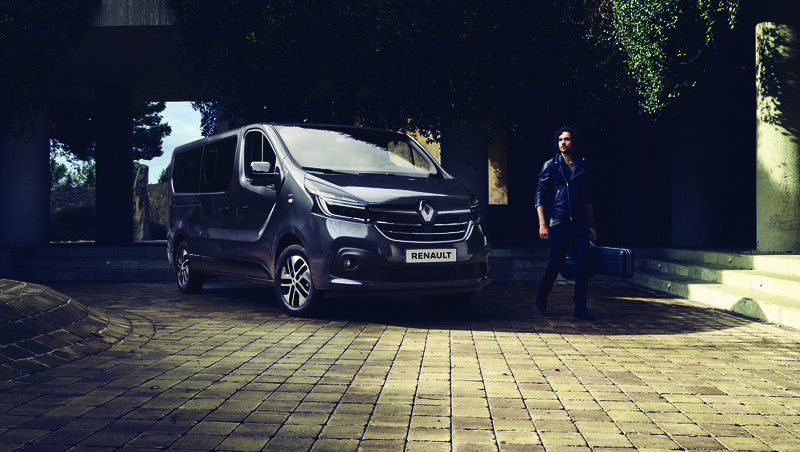 Today, Renault is releasing an MPV that is perfectly in tune with its times. Thomas Brient, Renault’s C-segment marketing chief, talked to us about this important product launch. How do you go about rekindling the flame of a model that dates back 20 years? Thomas Brient: That’s an easy question. We’re building on the strengths behind Scénic’s long-standing market success, staying true to the model’s intrinsic values as the ultimate family car. That being said, we’ve brought in substantial enhancements on key issues such as design (ideal proportions and sleek outline), new technologies, and power-unit innovations. And interior versatility is excellent, as ever. We’ve also drawn inspiration from the R-Space concept car (shown at Geneva in 201), to come up with a sensual MPV, capable of merging vehicle attributes long considered incompatible. We wanted to offer customers a family car that is genuinely fun to drive. We wanted a car that was practical and functional yet genuinely sensual at the same time. Design-wise, this shows through in aspects such as the aerodynamic profile, the large 20” wheels, the steep-raked windscreen and the unified MPV body. Could we call New Scénic the latest-generation MPV? TB: Scénic is much more than the latest in a long line of multi-purpose vehicles. Personally, I’d say it heralds in the MPV of the future. Scénic will always adopt a unified MPV body format. Then our new compact MPV gets the most advanced technologies available, for the most reassuring of driving experiences. For example, there’s the Active Emergency Braking System (AEBS) with pedestrian detection (standard on New Scénic) and Lane Keeping Assist (LKA), which can automatically redirect the vehicle into its lane on detection of involuntary lane departure. New Scénic takes us a step further in driver assistance technologies for a safer and more comfortable motoring experience. As crossovers become more and more popular, as evidenced by the success of Captur and Kadjar, what’s the outlook for the MPV format today? TB: The MPV has always been closely attuned to it times, and that’s never been truer than now. That’s quite clear when we realize that this sub-segment accounted for a steady 14% of the European C segment in 2015. 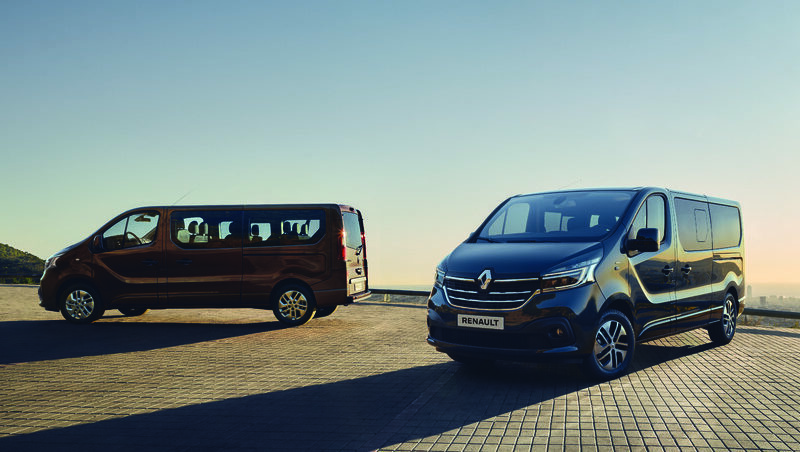 The MPV format is particularly popular in Western European countries such as France and Germany, so much so that our rival volume carmakers have renewed their offering here in recent months, as with the Volkswagen Sport Van and Touran. And the segment is also addressed by more specialist brands such as Mercedes with its Class B and BMW with its Series 2 Active Tourer and Gran Tourer. 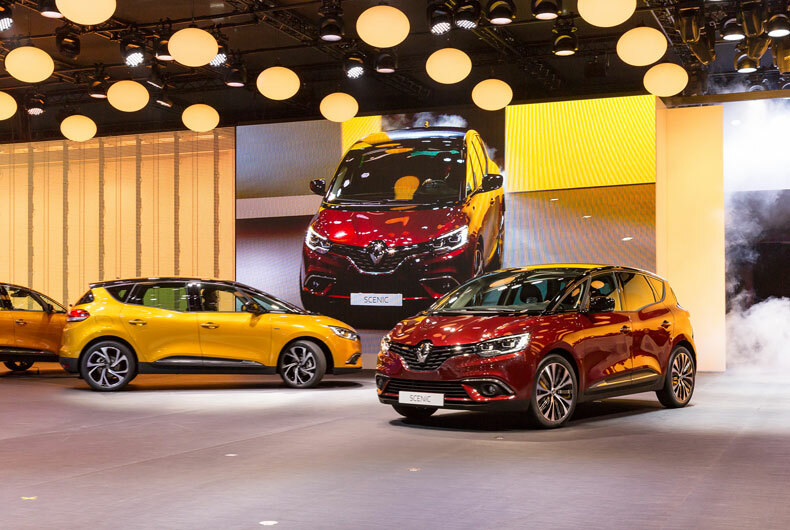 The demand’s there all right, and Renault’s obviously a front-line player in this highly dynamic market, by virtue of its undeniable design, technology and sales legitimacy. Does New Scénic get the advanced technologies introduced on New Espace, Talisman and Mégane? 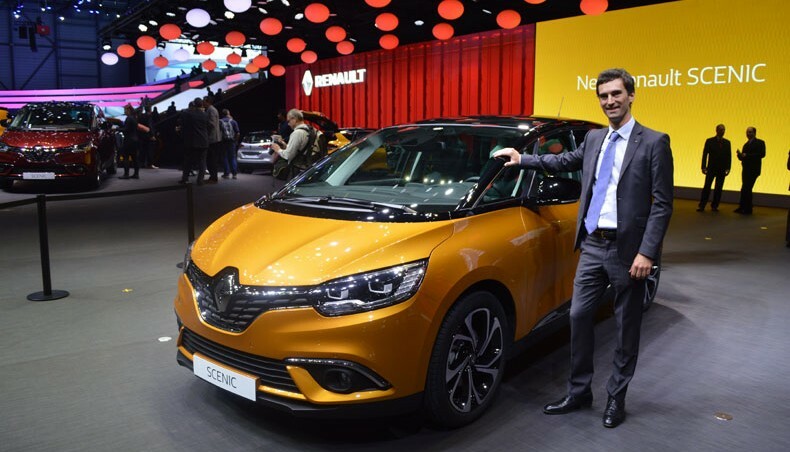 TB: New Scénic is a perfect example of synergies across the Renault-Nissan Alliance. Thanks to the CMF C/D common production platform, the 2016 Scénic carries in some of the best technologies from vehicles higher up the price scale. For example, we find Multi-Sense, R-Link 2 (with its 8.7” vertical screen), colour head-up display, and one-touch modularity for folding down the rear seats to obtain a flat loading space. And as well as bringing in advanced technologies from prestige vehicle segments, new Scénic also premières some important new technologies in its own right. Active Emergency Braking System (AEBS) with pedestrian detection. Lane Keeping Assist (LKA): At speeds from 70 to 160 km/h, this system nudges the steering if involuntary lane departure is detected, to help keep the vehicle in the right lane. Fatigue detection warning: This system monitors the vehicle trajectory to detect signs of driver fatigue, and trigger a warning accordingly. Hybrid Assist (set for release a few weeks after New Scénic goes on sale), with a 48 V battery providing an electric power boost for the diesel engine. What kinds of customer, in which countries, does New Scénic address? TB: Scénic is the family vehicle par excellence. 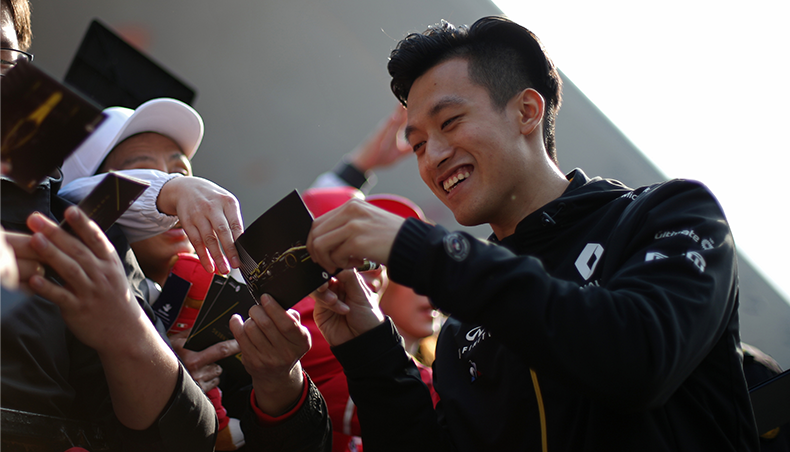 It addresses customers looking for a spacious, comfortable car: a car they feel at home in. Convenience and ingenious modularity are obviously hugely appreciated by our family clientele (40% retail and 60% non-retail, including fleets). 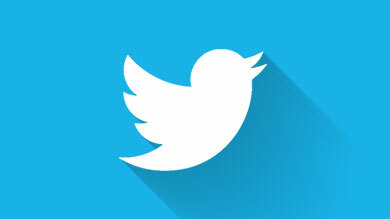 But Scénic also holds considerable appeal across a much broader customer base. I’m thinking, for example, about active seniors attentive to the cars’ great looks, advanced comfort and highly reassuring safety features. While primarily addressing European markets, New Scénic will also be sold in two countries in the Asia-Pacific region and one country in the Asia / Middle East / India region. Thank you, Thomas, for these answers! 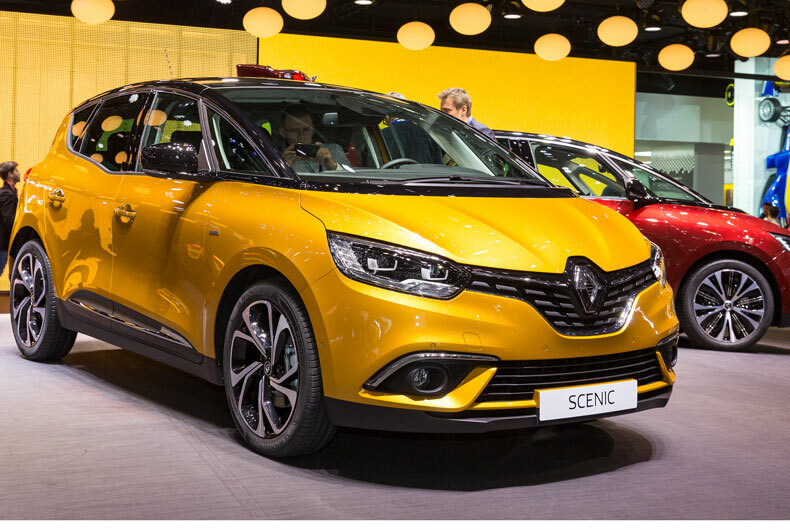 Why not come along and check out New Renault Scénic for yourselves, at the Geneva Motor Show? It will be in the showrooms by the end of the year.